I am an International Coach Federation (ICF) certified Professional Coach (PCC) who has provided executive and life coaching services for more than 15 years to over 500 individuals including professionals, academics and executives globally in both the private and public sectors including large organizations, small businesses and private practices, federal and provincial government, academia, healthcare and medicine. As well as coaching clients, I have taught, mentored in, presented and published about coaching internationally. In addition to coaching, my 35 year career includes occupational therapist healthcare clinician, health care administrator, tenured university professor, researcher and consultant. I completed coach training in 2006 through the Adler School of Professional Coaching (Toronto) which is accredited by the International Coach Federation. I completed occupational therapy and graduate degrees in Canada and Australia. Occupational therapy focuses on enabling people to achieve health and well-being through fully participating in all areas of their lives. It addresses the personal, psycho-social, physical and environmental factors that enable people to construct meaningful and fulfilling lifestyles. Combining knowledge and experience in occupational therapy and coaching allows me to take a unique approach to assisting people to get where they want to go. My coaching approach is grounded in the belief that people are motivated primarily by two desires: to fulfill their own potential and to make a meaningful contribution to the world; to make a difference. People frequently have difficulty fulfilling these desires because we govern ourselves with beliefs and fictions that hold us back and blind us to what may be greater possibilities. As your coach, I can help you recognize your limiting beliefs and identify your strengths and what is important to you. It is a process that will lead you to increase your self-awareness, expand your choices, gain trust in yourself and move forward. Coaching is completely confidential. I practise in accordance with the Ethics and Standards of Conduct of the International Coach Federation. I received my coach training through the Adler School of Professional Coaching (Toronto) which is one of the leading coach training schools internationally and is accredited by the International Coach Federation. I have since completed numerous additional trainings including in Mindfulness based Stress Reduction (MBSR) with Jon Kabat-Zinn, Mind-Body Centred somatic coaching, Acceptance and Commitment Therapy and am a LEADS Certified Coach with LEADS Canada/Canadian College of Health Leaders. 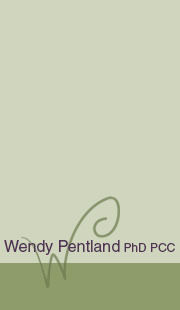 I bring to coaching over 25 years of experience in health care and academia as an occupational therapist clinician in the public and private sectors in Ontario, British Columbia and Australia, health care administrator, university professor, researcher on the relationships between human time use and health and well-being and consultant. I began coaching in 2004 and have clients across Canada and in the United States. I have coached clients on a variety of issues including career transitions, leadership development, managing interpersonal workplace conflict, new private practice building and marketing, transitioning through mid-life including into retirement, completing book manuscripts, time management, stress reduction, work-life balance, setting and achieving strategic goals, professional and personal relationships and many more. I also work with all clients to improve the quality of their personal lives. I have a broad background of experience, which has proved invaluable in understanding and relating to clients' issues.